In an effort to solve complex human resource challenges, successful companies are utilizing employee mentoring programs. According to the Association of Talent Development, employee mentorship is on the rise with 71 percent of Fortune 500 companies offering formal mentoring programs to their employees. Millennials, always in search of feedback on their work performance have also taken part in their programs. The 2016 Deloitte survey found that millennials who planned to stay with their employer more than five years were twice as likely to have a mentor (68 percent) than not (32 percent). As the labor market continues to get tighter, more and more companies are relying on formal workplace mentoring programs to engage, develop, and retain their top talent. Starting a mentoring program might be the closest you’ll ever get to making a business decision that has exclusively positive impact on your employees and your employee management. Mentoring can improve employee satisfaction and retention, enrich new-employee initiation, make your company more appealing to recruits, and train your leaders. 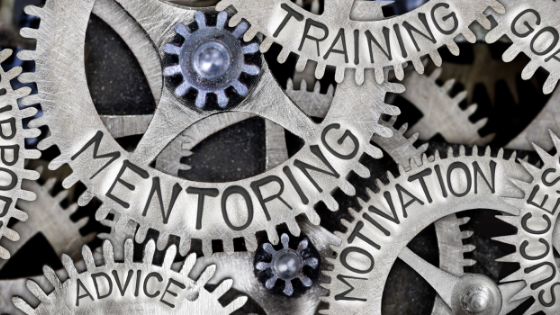 Unlike similar learning incentives like training programs or offering to pay for courses, mentoring utilizes the resources that your company already has. While enabling career development, leadership development and HR management, employee mentoring programs, help employees gain new skills and feel engaged with co-workers and your organization. They get the opportunity to learn and develop, which can help advance their careers and keep them from feeling stagnant in their roles. Offering a formal career mentoring program is a tangible way to show employees that you’re investing in their careers. The collaborative nature of mentoring develops employees and interpersonal links. Essentially, employees sharpen their skills, gain new ones, and can form friendships at work, all of which result in increased engagement. By encouraging a learning culture through mentoring, companies ensure that employees take an active role in spreading knowledge and best practices throughout their organization. These factors all lead to happier employees and a better retention rate for a stronger, more effective organization. Employee mentorship also delivers cost-effective, ascendable programs with constrained HR resources. When starting your employee mentoring program, you must define what the objective of the program will be. Will the program help new employees understand the company culture? Improve retention rates? Develop middle managers’ leadership skills? Build stronger inter-generational relationships? Having your clear goal in mind will not only keep you organized but it will also make it possible to measure the program’s success. There are many different kinds of employee mentorship that you can create within your program. There is group mentoring and peer mentoring. Some companies bring in an expert for facilitated mentoring or have lower-level employees teach higher-level employees in reverse mentoring, some even use a speed-dating format for “flash mentoring.” Different companies require different mentorship styles but the most common type of mentoring program is one-to-one pairs. This means that the most common obstacle when creating your mentorship program is how to pair mentees and mentors. One way of allowing input might be to have mentors and mentees fill out an information sheet about what they hope to offer or obtain from a mentoring relationship. Some companies create pairs by matching who they know already gets along with one another. Remember to keep this simple. The most effective mentoring happens at a personal level. Have one person in your growing company map and match potential mentees and mentors, then initiate the mentoring relationship. So now, you have established what goals a mentoring program can achieve for your company, set up a structure that fits your company culture, and are sending your matched pairs off to work. If you want positive results, it’s a good idea to help them learn what “mentoring” means first. Explain why mentoring isn’t a waste of time. You can do this by having leaders in your company and HR management make it clear that they think the program is important, and make sure that they participate in the program themselves as well as encourage other people to participate. Find people in your company who are willing to share the mentoring experiences that have made a positive impact on their careers. In addition, suggesting a format with specific tasks will help the employee management run smoothly. This can include journaling, role-playing, or having mentors watch mentees at whatever skill they are trying to improve, such as leading a meeting, and giving their feedback. Communication is the key to success in any relationship. If your program ends with a day of training and doesn’t have clear support from important people in your company, the reaction you might get is, “well here comes another HR initiative.” Make sure everyone in your organization knows that mentoring is going on. Preferably, the leaders of the organization should play a large role in this. You want everyone in your business to understand that the program is happening and that it is important. Also, have your HR management communicate with your employee about the program before it begins and start the program gradually. Seasoned Mentors – What do you get out of mentoring? What would you recommend to a growing company interested in implementing a mentoring program?